Victory over Poverty (VP) is possible if the Means (M) and Competences (C) of the Community (C) are combined: VP = M X C X C The Philosophical bases: Ignite self – awareness among the poor segments of the population; Enlighten the population on the immense managerial capacity in their cultural patrimony; Lead rural populations to a lasting self – ownership. MISSIONS OF (M X C X C) Sensitization: Urge the community to show concern as regards the poor and present the advantages entailed in promoting a socially balanced and an economically acceptable environment, Economic Mission: Stimulate in each poor his or her natural abilities as far as savings and wealth creation are concerned, Social Mission: Make every one aware of the fact that social actions cannot go without economic initiatives and unity is the Unique invincible strength as far as development is concerned. Use resources generated by economic actions to establish social infrastructures profitable to the community. Source: The Clerk to Parliament Members of Parliament seek for information or press for action through questions. It is a method of demanding for accountability from those in authority by making them put information on the record. A question can be put to a Government Minister, Committee Chairperson or Parliamentary Commissioner for the purpose of obtaining pertinent information or pressing for action. SCOPE AND PURPOSE Ministers are obliged to answer questions on matters relating to public affairs under their mandate. Committee Chairpersons may be asked questions relating to a Bill, Motion or other public matter related with the business of the House for which the Committee is responsible. Questions may be asked of a Parliamentary Commissioner relating to the administration of Parliament or other Commission matters. TYPES OF QUESTIONS There are three types of questions that can be asked namely; oral questions, questions for written answer and urgent questions. A Question for oral answer requires an oral reply. A Member who desires an oral answer to a question is required to mark it as “oral reply.” Supplementary questions may arise from an oral question. Questions for a written answer are printed in the official report and are not answered orally. They do not attract supplementary questions. Questions of urgent nature relate to matters of urgent public importance. The Speaker determines if the question is urgent. Notice of urgent questions should be given by delivery of written question to the office of the Clerk at least three working days before the day on which the Member proposes to ask the question. CONTENT AND FORMAT OF QUESTIONS Rule 37 of the Rules of Procedure details conditions for admissibility of questions. Questions shall not be asked if they: Relate to proceedings in a Committee which have not been tabled before the House. Solicit expressions of an opinion or solution of an abstract legal case Are of a hypothetical proposition Contain any arguments, expression of opinion or inferences, imputations, epithets or controversial, ironical or offensive expression Raise an issue already decided, or which has been answered substantially during the current session Relate to the character or conduct of any person except in his or her official capacity. Refer to more than one subject and is too lenthy. Have answers available in official publications Relate to the character or conduct of a person whose conduct can only be challenged on substantive motion. Relate to a matter before court. Include the names of persons or statements of fact unless they are necessary to make it understandable. Supplementary questions shall be subject to the same rules of order as an original question. PROCESSING OF QUESTIONS The procedure for processing questions is as follows: A Member intending to ask a question makes a draft of the question and presents it to the office of the Clerk. The Office of the Clerk ensures that questions are drafted concisely and comply with the Rules of procedure. The Question is forwarded by the Office of the Clerk to the Speaker for approval. Upon approval, the question is sent to the person meant to answer it. Ministers are expected to respond to questions within 2 weeks of receipt. Answers to questions should be printed and a copy supplied to the Member who asked it not later than 15 minutes before the Sitting at which it is to be answered. All questions are recorded in the Question Order Book which is available for Members' inspection and contains: All questions submitted by Members; Questions admitted by the Speaker and the time of their transmission to the person to answer; Questions not admitted and the reasons for their rejection; Answers given to the question, and the form of answer; Questions which have received no answers. MANNER OF ASKING AND ANSWERING QUESTIONS The Speaker calls a Member in whose name a question stands on the Order Paper. The Member called upon rises and reads out the number assigned to the question standing in his or her name on the Order Paper. In the absence of the Member asking the question, he/she may authorize another Member with the Speaker’s prior permission to ask the question. After the question has been asked, the Speaker calls on the person to whom the question is addressed to answer. The reply to a question is limited to three minutes. However, if the Speaker considers that the matter is of sufficient importance, up to an additional two minutes may be given. SUPPLEMENTARY QUESTIONS After the question has been answered, supplementary questions may be asked. Priority is given to the Member who asked the question. This is to enable the Members seek further clarification. Supplementary questions should be related to the original question. Replies to supplementary questions shall be limited to two minutes, unless with permission of the Speaker. Source: The Clerk to Parliament Parliamentary Decorum refers to the appropriate conduct which is expected by Members of Parliament while conducting Parliamentary business. Parliamentary Etiquette is a set of acceptable norms that regulate the behavior and conduct of Members of Parliament. Parliamentary Decorum and Etiquette relates to the mode of dressing, behavior and language of Members of Parliament. The official dress for male Members of Parliament should be a suit, a pair of long trousers, a shirt and tie and a jacket; a kanzu and jacket, a safari suit, or decent traditional wear; while that of female Members of Parliament should be a suit, a jacket, a blouse and skirt or dress, or traditional wear. Members of the Armed Forces may be dressed in Military attire. All Members should put on dignified shoes, save that a Member may, with the prior leave of the Speaker, put on foot wear which may not necessarily be described as shoes. In keeping with Parliamentary Decorum and Etiquette, a Member should not enter the Chamber while the Prayer is being read or when the Speaker or the Chairperson of the Committee of the Whole House is on her/his feet; a Member should bow to the Chair on entering or leaving his seat; and a Member should not cross the Floor of the House or move around unnecessarily. While a Member is speaking, all other Members should be silent and should not interrupt. When a Member has finished making his or her contribution, he or she should resume his or her seat. A maiden speech should not be interrupted except by the Speaker or in circumstances which in the opinion of the Speaker warrant interruption. A Member should always address the Chair. A Member is forbidden to: bring into the House any camera, arms or weapon, tape recorder, radio, mobile telephone, or other electronic devices, unless permitted by the Speaker, or under exceptional circumstances as old age and physical health; smoke or eat in the Chamber; approach the Chair personally in the House; clap in the House; indulge in inappropriate behavior; or be disrespectful towards other Members. The Speaker, who is the Presiding Officer of Parliamentary Proceedings, regulates debates and enforces strict observance of the rules, which govern orderly conduct in the House. He/she preserves the order and dignity in the proceedings of the House. In all matters, the general behavior of Members of Parliament is guided by the Code of Conduct for Members of Parliament. The purpose of the Code of Conduct is to assist Members in the discharge of their obligations to the House, their constituents and the public at large. Source: Clerk to Parliament ‘Personal Explanation’ is a procedural tool used by a Member, with the prior permission of the Presiding Officer who is allowed to make a statement in response to the comments and criticism of personal nature made by a fellow Member or a Minister on the floor of the House. This right is also exercised by a Member when his/her conduct has been referred to, in a report laid on the Table of the House or when he/she wants to rebut some allegations made against him/her. This right is enjoyed by a Member notwithstanding the fact that the allegations made against him/her in the House do not pertain to his capacity as a Member of Parliament. The Rules of Procedure of the Parliament provide that any Member may with permission of the Speaker, make a personal explanation not exceeding fifteen minutes where an MP’s name has been brought in disrepute. SCOPE A Member may make a personal explanation with the permission of the Speaker in regard to: Comments or criticism of a personal nature made against him by a fellow Member or a Minister on the floor of the House; His/her conduct referred to in a report laid on the table of the House; and Public allegations made against him/her. After the Personal Explanation no further questions or counter statements or explanations are allowed. The Personal Explanation does not attract debate. PROCEDURE TO BE ALLOWED A Member wishing to make a statement by way of Personal Explanation should write to the Speaker in advance enclosing a copy of the statement to be made by him/her in first person. A Member is not permitted to make a Personal Explanation unless a copy thereof has been submitted in writing to the Speaker and its text has been approved by him or her. The statement should be brief and concise and should not introduce any controversial or debatable matter. Words, phrases and expressions which are not in the statement approved by the Speaker, if spoken, shall not form part of the proceedings of the House. After the Speaker has granted the permission, the item is normally included in the List of Business for the following day. As far as possible, the Member on whose remarks the Personal Explanation is based, is informed about the Personal Explanation being made. When you read the article below, you wonder whether our leaders ever learn from this type experiences. The article is clear testimony is that no single person in indispensable. Anybody can come up and be so powerful, but time comes, and he/she has to go. This should be a good learning experience for anybody who bothers to learn. 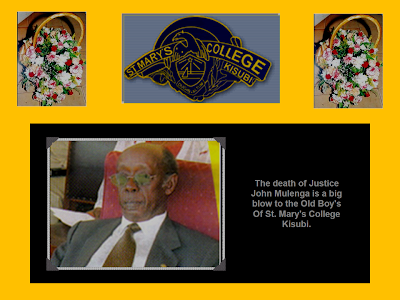 William Kituuka Kiwanuka ------------------------------------------------------------------------------------------------------- Source: The defunct The Crusader Newspaper It will soon be 29 years since on December 3, 1983, when Ugandans woke up to the shocking news on Radio Uganda that the country’s powerful and feared army Chief of Staff, Major General David Oyite Ojok had died. It was the closest to Ugandans experiencing the death of a sitting President. Many shops in Kampala remained closed for days. People discussed in groups wondering what would happen to the country next. Many had not loved Oyite Ojok, but they knew with his death things would never be the same. Indeed, one and a half years later, the Obote II Government was overthrown. The official explanation was that Oyite Ojok’s death was a pure accident. But was it? Brigadier David Oyite Ojok was all smiles at Pece Stadium on April 11, 198. This day, like others since 1980, was celebrated to mark the fall of Idi Amin’s regime on April 11, 1979. The day was special for Oyite Ojok in another way; after the festivities, he walked out of the stadium a Major General, adding laurels to his much coveted job of Army Chief of staff. Oyite Ojok and the Army Commander of Uganda National Liberation Army (UNLA), then Major General Tito Okello, who became General, were just among the many army officers who were promoted. The pomp was pulsating as Oyite Ojok took turns in joining the Commander in Chief and President Apollo Milton Obote, in addressing the other with new pips. It was just another moment of glory for Obote and the men with whom he taunted the opposition with his trademark sarcasm: “where are the Ssemogerere commanders?” Witnessing the promotion was the all – powerful Vice President and Minister of Defence, Paul Muwanga. He and Obote had genuine reason to smile because they knew how their post – Amin fortunes had rested on Oyite Ojok’s shoulders – or on the hip of where he kept his pistol. But behind the public smiles lurked the serious fears and doubts by the two men over the soldier they relied on most, but was increasingly running out of control. Down south the guerilla war by Yoweri Museveni’s NRA was taking its toll. Obote and Muwanga counted on Oyite Ojok to be the prince in shining armour racing through the woods of Luweero Traingle putting out the fire. The “Liberation day” promotions in Gulu were part of an effort to boost moral among the UNLA officers, so that they could face the NRA with renewed vigour. When Museveni had just taken to the bush in February 1982, Obote proudly said, “We shall follow them there and leave them there.” But two years down the road in 1983 the NRA rebels were still alive and kicking. Frustration with Oyite Ojok’s leadership of the army offensive had crept into Obote and Muwanga. It was not that the man who dramatically escaped from Parliament in 1971 from Amin’s soldiers, only to turn up on Radio Uganda in 1979 to announce the dictator’s fall, had lost battlefield prowess. The problem was that being Chairman of the then almighty Coffee Marketing Board (CMB), Oyite Ojok increasingly had no time for the war front. He spent much of his time keeping an eye on his swelling balance in a Swiss bank. Moreover, around the same time, differences between Obote and his civilian and military lieutenants on how to end the rebellion heightened. While Obote and Oyite Ojok insisted the ‘bandits,’ as they called them, had to be militarily crashed, Muwanga and some top UNLA officers – mainly Acholi – toyed with the idea of negotiations. Late 1982 while on an eastern Uganda tour, Obote said if Museveni wanted negotiations, he should first identify his third great grand father to prove his Ugandan origins. With purported authentication from his Ankole allies, Obote branded Museveni a Rwandese immigrant and accused the Banyarwanda of fueling the rebellion in Buganda. In the same year, Obote had 25,000 people of Rwandese origin evicted from their homes in western Uganda and put in camps because they posed a security threat. Lt. Kiragga Kato from Entebbe. Kato was one of the most trusted UNLA officers and was close to Obote, Muwanga and Oyite Ojok. 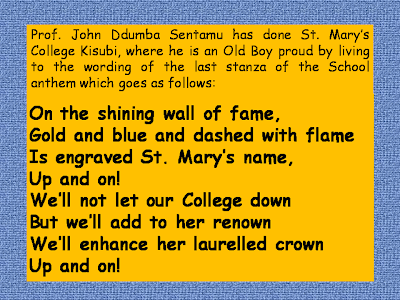 He was related to the first lady, Miria Obote. His closeness to the 1st family saw him speedily rise through the army ranks to the post of Director planning. He was a loyal officer and easily won the confidence of high ranking government officers including Oyite Ojok. But he paid major allegiance to Muwanga as a Muganda political head in government. Muwanga trusted Kato to do the job of bumping off Oyite Ojok. Kato’s assignment was simple or so it seemed. 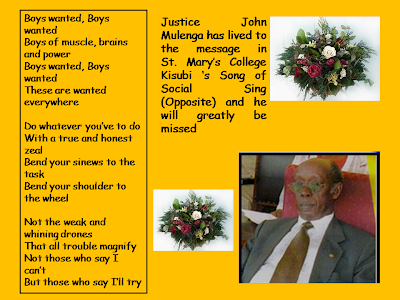 His job was to lure Oyite Ojok into a helicopter planted with a time bomb that would blow his muscular frame into ashes. On December 1, 1983, a few days after Obote’s departure for India, Muwanga offered Oyite Ojok an irresistible bait to get him into the booby – trapped chopper. He called Oyite Ojok and told him that the soldiers in Nakasongola had captured the most wanted bandit – Yoweri Museveni. Oyite Ojok could not believe it. And Muwanga said he too could not believe it until the Chief of Staff went to the battle fields and brought Museveni to Kampala himself. December 2, 1983, the Major General left for the battle front. Oyite Ojok selected his most trusted officers and left with them in two helicopters for Nakasongola. The officers included Lt. Col. Wilson Okwonga (Dr); Director of Mbuya Military Hospital, Lt. Col. Alfred Otto; the Director of Air force, Major Stephen Abili; the Director Engineering, Capt. Harry Olwoch; a pilot, Sgt. Charles Kamara who was a Staff Sergeant and Kato. Obwanga, Olwoch and Otto hailed from Kitgum district, Abili and Oyite Ojok came from Apac, Kamara came from Kabarole and Kato from Kitende, nine miles Entebbe Highway. Most of these UNLA officers had been promoted at the April 11, 198 Liberation day celebrations in Gulu. Oyite Ojok left in the 1st helicopter, and Kato traveled in the 2nd one to Nakasongola. When the team arrived, they were told of how close the UNLA officers had cornered Museveni, but the rebel leader had escaped by the skin of his teeth. 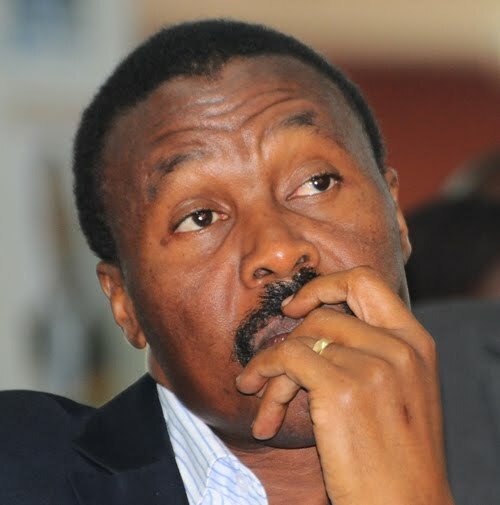 Oyite and part of the team – Kato was not part of it then – boarded a surveillance gunship and visited several army detaches in the area before converging at Kisozi where the two choppers were stationed. It was during the absence of the Oyite Ojok team that Kato fixed the time bomb in the helicopter which he (Kato) had travelled in from Kampala. When it was time to depart for Kampala, Kato told Oyite Ojok that during their absence his inspection of the chopper the Chief of Staff had used earlier from Kampala revealed it was overdue for service. He therefore advised the big man to switch over to the second chopper. Oyite Ojok then selected those who would fly with him – including Kato. Kato resisted but Oyite insisted that they had to discuss military strategies aboard. Kato entered the chopper but stationed himself near the door. He strapped his parachute to his back and sat on it. The chopper took off at 8.12pm. But just as the pilot, Capt. Henry Olwoch was picking direction. Kato dived. The other officers tried to restrain him but immediately the chopper exploded. It landed three minutes later engulfed by flame. The incident occurred between River Kafu and Nakasongola army barracks, 150km from Kampala on Gulu road. UNLA soldiers at the Kisozi detach immediately cordoned off the area. Oyite Ojok like everyone else on the chopper burnt to ashes. Oyite Ojok’s ashes were approximately by the seat on the burnt chopper on which his trademark silver pistol was found. An official statement aired on radio Uganda from the Ministry of Defence said all the officers and men of UNLA had died on the plane. The NRA/NRM rebels in Nairobi announced on BBC that they had brought the gunship down. However, when the NRA/NRM captured power, the leadership said they did not believe in assassinations. The 1st high ranking officers to arrive on the scene that very night were Paulo Muwanga, Army Commander Lt. Gen. Tito Okello and Prime Minister Otema Alimadi. But what exactly happened to Kato after the crash is the subject of three conflicting theories. The 1st is the official line: he burnt inside the chopper. The 2nd is that as the helicopter descended, its propellers hit Kato mid air throwing him about 10 metres away from the scene of the blast. His body was partially in the fire that engulfed the surrounding area. His wife identified him by the teeth. The third theory is that Kato successfully bailed out of the chopper and reported to Muwanga that the mission was accomplished, but that soon as kato finished making his report, Muwanga had him shot to conceal evidence. Kato’s wife, who by the time of this story worked in a Kampala firm, refused to discuss the matter with The Crusader. A family friend said the army refused to have the coffin opened before Kato was buried at Kitende, 9 miles along Entebbe Highway. 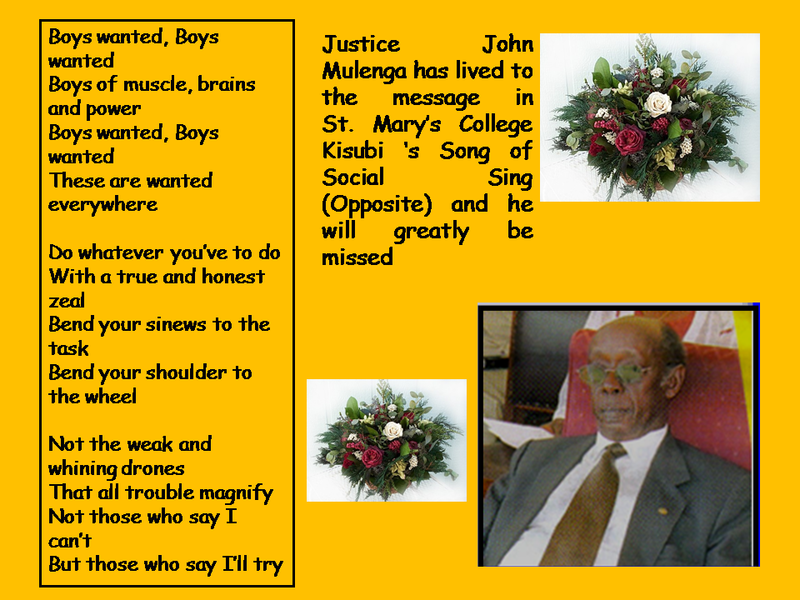 JUSTICE JOHN MULENGA HAS BEEN CALLED TO MEET HIS CREATOR! 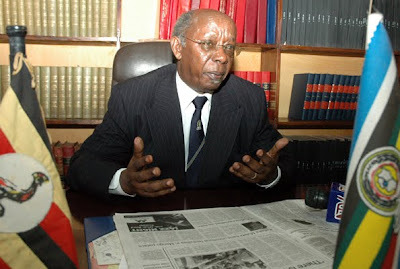 The former judge, well known for defending journalists rights, succumbed to cancer. 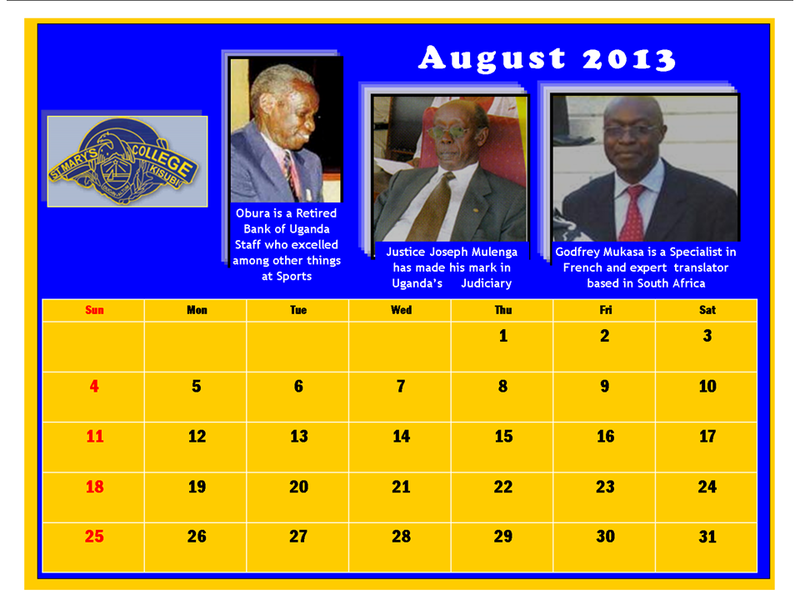 KAMPALA Justice Joseph Mulenga is dead. The judicial officer and politician who served the bench for nearly half a century lost a battle with cancer related complications, his family and the Judiciary announced yesterday. He died at Nakasero Hospital in Kampala. Tributes were by last evening pouring in for the judge, who among many other political and legal achievements delivered critical judgements that critically impacted the country’s media and political landscape. In 2001, Justice Mulenga was one of only two Judges of the Supreme Court to rule in favour of nullification of the election of President Museveni in a petition that was brought to court by opposition candidate Dr Kizza Besigye, who accused Mr Museveni of rigging elections. In 2004 Justice Mulenga was to write the lead judgement in a ruling that forever altered the media landscape in Uganda in the Charles Onyango Obbo and Andrew M. Mwenda Vs the Attorney General over the constitutionality of the offence of publication of false news. Landmark judgement Speaking about this landmark judgement on publication of false news, Dr Peter Mwesige, media scholar and practitioner with years of experience including coverage of Justice Mulenga’s time in the Constituent Assembly which wrote the 1995 Constitution, yesterday said: “In my view, one of the most important aspects of that judgement was the proposition that the application of constitutional protection to false expressions was not to ‘uphold falsity’ but to “avoid the greater danger of ‘smothering alternative views’ of fact or opinion”. Dr Mwesige noted that the judge was in line with our Constitution, when he “maintained that freedom of expression should only be suppressed where allowing its exercise manifestly endangers public interest. He further said Justice Mulenga rightly argued that unfettered discretion on what constitutes public interest, which the false new provision was purportedly protecting, “opens the way for those in power to perceive criticism and all expressions that put them in bad light, to be likely to cause mischief to the public”. Share This Story Share Related Stories Mulenga: Defender of the press is gone The Judiciary was saddened by the death of Justice Mulenga, saying it has lost him at a time when they needed him most for his vast experience. “As the Judiciary we received information with profound shock about the death of Justice Mulenga. We are indeed saddened about his death at the time we need him so much for his jurisprudence and experience,” said Erias Kisawuzi the Judiciary spokesperson, adding, “ there was a lot to learn from him given his vast experience. 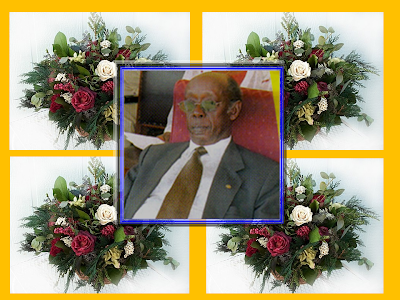 He will be missed not only by the bench but by also by the bar.” Born in the former Kigezi District. He attended St. Mary’s College Rushoroza, in Kabale, St. Leo’s College Kyegobe in Fort Portal and St. Mary’s College Kisubi. He obtained his Higher School Certificate in 1960. He undertook his legal education in the United Kingdom, where he graduated with Bachelor of Law degree at London University in 1965 and was called to the English Bar as Barrister-at-Law by the Middle Temple in 1966. Justice Mulenga was also a serving Judge of the African Court on Human and People’s Rights, which he joined for a term of six years from 2008. 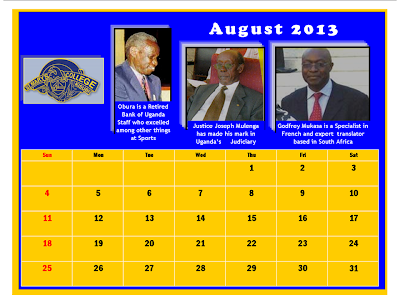 Before his retirement in January 2009, Justice Mulenga was also appointed as a judge at the East African Court of Justice in 2001 for a term of seven (7) years, initially as Vice President of the Court, and subsequently as President of the Court. His legal career spanned 47 years. awesaka@ug.nationmedia.com ----------------------------------------------------------------------------------- JUSTICE JOHN MULENGA TO RECEIVE OFFICIAL BURIAL The former Supreme Court Justice, Joseph Nyamihana Mulenga, is to get an official burial, Government has announced. Mulenga, 74, died on Wednesday at Nakasero Hospital, Kampala after developing cancer-related complications. According to Mary Karoro Okurut,the Information and National Guidance minister, the casket bearing Mulenga's body will today lie in State at the Parliament and later legislators will honour the former Attorney General. Mulenga's body will later be taken to his residence, at Kimera road in a city suburb of Ntinda, where it will spend a night. A requiem Mass will be held on Saturday at Our Lady of Africa Church in Mbuya before cortege depart for his ancestral home in Mutolere, Kisoro, where it will be buried on Sunday. "As a person who has served this country in various capacities he deserves official burial," Karoro noted. In her statement, she described the deceased as a true patriot who served Uganda in various capacities, notably Attorney General and Supreme Court Judge. "He will dearly be missed not only in Uganda where he had an illustrious career but the whole African legal fraternity where his amazing contribution has been felt. Mulenga served his country with distinction and has left a huge legacy in the judicial fraternity, " she noted. More eulogies Foreign Affairs minister, Sam Kutesa, described his longtime friend and partner as a person who stood for the truth, and who would never condemn anyone without fair hearing. Kutesa noted "I first knew him in 1972 when he had just started Iringira and Mulenga Co. Advocates. Later we worked together at Mulenga and Kalemera Co. Advocates since 1980-1989. He was extremely reliable, professional and very acute as a lawyer. Mulenga was principled and always put his judicious neutrality with an incredibly superior temperate. He is an icon in legal and judicial system. He identified himself as an international judge and he later became a judge at the African Court of Justice which was good for Uganda. I am happy that I nominated him. "he notes. Dr Philemon Mateke, the NRM chairman for Kisoro district and senior politician, said Mulenga was a unique judicial officer in the way he did his work. "He was a celebrated lawyer in the country with uniqueness in his work. We both competed at the constituency level in 1980 and I defeated him. I was in Uganda People's Congress (UPC) and he was DP but we remained friends,"Mateke added. WHAT IS THE ACCOUNTABILITY OF OVER SHS 2 BN WHICH THE LEADER OF OPPOSITION GETS FROM PARLIAMENT? 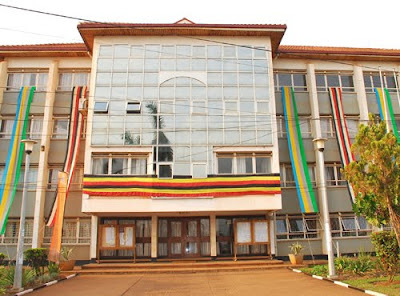 In Uganda, the Local Government Act (1997) stipulates that most central government powers and responsibilities for public services planning and delivery should be devolved to local governments, which is decentralization. Decentralization may be defined as the transfer of authority from Central Government to Local Governments. It refers to the transfer of functions, powers, competence, skills, means and resources. Decentralization aims at addressing people’s needs at the grassroots. The measures one can use to identify levels of achievement are namely: Efficiency, Economy, Effectiveness and Accountability. The LC system today is a consultative forum for local decision making. Elected Chairpersons of the Council form executive committees at respective levels, and propose policies for their legislative bodies of the Council, which are formed by the representatives of the people. The decisions are implemented by the civil service staff. This LC system is most clearly structured at district (LC 5) level, where district development plans are made and important policies are decided for the district. The actual public services are provided by sub-county (LC 3) level, where the extension officers and community development workers are located. To better understand decentralization by various players in Local Governments in Uganda, The Ministry of Local Government in January 2012 came out with a publication: "Induction of Local Government Councils Participants’ Hand book." It provides councilors, civil servants and the general public with the knowledge and skills required in the implementation of a decentralized system of governance in Uganda. The handbook brings out the relation between the central and local governments. This is necessary to understand the boundaries of their power and influence. Below are some of the salient features of decentralization in Uganda, which are critical guidelines for its effective implementation. THE RELATION BETWEEN DISTRICTS AND LOWER LOCAL COUNCILS A Local Government may offer guidance to Lower Councils within its area of jurisdiction (Section 34 LGA) District Councils, through District Chairpersons and Chief Administrative Officers who have monitoring and supervisory powers over Local Councils within the District. This is provided for under sections 13(1)(d) and 64 (2) of the LGA, respectively. District Councils must incorporate plans of lower Local Governments into the District Development Plan. THE RELATION BETWEEN CENTRAL AND LOCAL GOVERNMENTS (SECTION 95 - 98 OF LGA) The Ministry of Local Government shall be responsible for the guidance, inspection, monitoring and coordination of Local Governments. Line Ministries inspect, monitor, supervise and where necessary offer technical advice and training to Local Governments within their respective areas, in order to ensure the implementation of national policies and adherence to performance standards on part of local Governments. THE RELATION BETWEEN COUNCILORS AND CIVIL SERVANTS Civil Servants are servants of the people and therefore accountable to the Council. At the district, Sub-county, division, town and municipal level; Civil Servants operate as a team under the direction of the chief executives. These are: The Chief Administration Officer (CAO) at the district level, the Town Clerk for the urban councils (town councils, municipal councils and divisions) and the Sub county Chief for the Sub counties. The duty of the Civil Servants is to: Implement lawful Council decisions; Assist Council in policy formulation; Suggest to Council strategies for dealing with identified problems. Civil Servants are experts in their fields and their knowledge and expertise is important to Council as it deliberates on various matters. However, Councilors do not always have to accept advice given by the Civil Servants. When Councilors decide on what to be implemented and why, implementation is left to the Civil Servants. FORMS OF CENTRAL GOVERNMENT INFLUENCE OVER LOCAL GOVERNMENTS THE CENTRAL GOVERNMENT HAS INFLUENCE ON GRANTS TO LOCAL GOVERNMENTS Article 193 (1) of the Constitution of Uganda and Section 83 of the Local Governments Act, CAP 243, provides that the Central Government shall transfer money to Local Governments through Conditional Grants, Unconditional Grants and Equalization Grants. Through these grants, the Central Government may influence Local Governments' policies and programmes. THE CENTRAL GOVERNMENT EQUALLY HAS INFLUENCE IN FORM OF CONTROLS ON LOCAL GOVERNMENT BUDGETS Section 77 of LGA gives rights and obligations to Local Governments to formulate, approve and execute their budgets provided the budgets are balanced. In addition, Local Governments have to accord National Priority Programme Areas preferential budget outlays. If a Local Government budget significantly detracts from Priority Programme Areas, the Local Government Finance Commission (LGFC) is required to inform the Council, and the President through the Minister of Local Government for appropriate action. Furthermore, no money can be withdrawn from the General Fund Account or any other accounts of the district unless withdrawal has been approved by the Auditor General or his/her representative, as provided in Section 82 (2) of the LGA. UNDER THE LOCAL GOVERNMENT CONTRACT COMMITTEES District and Municipal Contracts Committees are required to conform to the standards established by the Public Procurement and Disposal of Assets Authority (PPDA) in the performance of their functions. Customized Local Government Procurement and Disposal of Assets Regulations have been produced. The Contract Committee is supposed to consist of five members nominated by the accounting officer from among the public officers of the procuring and disposing entity and approved by the Secretary to the Treasury. In addition, every district or Urban Contracts Committee is required to publish quarterly summary of all tenders awarded and give a copy to all relevant councils, the Minister responsible for Local Governments, the Inspector General of Government (IGG). LEGISLATIVE CONTROL Enactment of Statutes, issuance of regulations and legislative investigations are the main controls exercised on the Local Governments by the Central Government. Laws regulating the affairs of Local Governments must pertain to National Goals if they are to be effective. In addition, the central Government may request Local Governments to implement National Policy Decisions through the enactment of local laws (ordinances and bye-laws). JUDICIAL CONTROL Local Laws and administrative actions must not be in conflict with National Law since it is all subject to Uganda's Constitution. Courts have a role in protecting the rights of citizens against unwarranted actions by local officials or other citizens. PROTECTION OF PUBLIC OFFICERS Article 166 of the Constitution mandates the Public Service Commission (PSC) to guide and coordinate District Service Commissions (DSC). District Service Commissions are required to submit reports (Section 58 (2) of the Local Governments Act, CAP 243 to the District Council and the Public, Education or Health Service Commissions as may be applicable on the performance of its functions after every four months and whenever a report is required by the Council or the Public, Education or Health Service Commission. DEVELOPMENT PLANNING IN A DECENTRALIZED SETTING Development Planning is the setting of goals, mobilization of and allocation of resources so as to ensure that the benefits reach the target population. Planning is a continuous process; it includes not only the document preparation with the details that provide the data/information base and justification for projects but also their actual implementation. Decentralized Planning aims at improving service delivery by effectively involving the communities and service delivery units in proposing development solutions for poverty alleviation. OBJECTIVES OF DECENTRALIZED PLANNING To empower Local Governments, identify their priority needs at the level and be able to formulate localized responses to address them; Improve management efficiency in the LGs; To increase democracy and popular participation in the development process through effective representation of the population and provision of opportunities for participation of the people in decision making; and form a basis for efficient resource mobilization and allocation by LGs. LEGAL FRAMEWORK OF DECENTRALIZED PLANNING According to Article 190 of the Constitution of the Republic of Uganda (1995), District Councils are required to prepare comprehensive and integrated development plans incorporating the plans of the lower level Local Governments for submission to the National Planning Authority. ii) Section 36 (1) of the Local Governments Act, CAP 243 recognizes the District Councils as the Planning Authority of a District. iii) In addition, Section 36 (3) mandates the District Council to prepare a Comprehensive and Integrated Development Plan incorporating plans of lower Local Governments for submission to the National Planning Authority, and the Lower Local Governments shall prepare plans incorporating plans of Lower Councils Section 37 (4) in their respective areas of jurisdiction. COUNCILOR’S EMOLUMENTS Emoluments for Councilors are principally paid from locally raised revenues. Regulation 4 to the first schedule of the LGA CAP 243, stipulates that expenditure of a LG Council in a Financial Year (FY) on emoluments and allowances of Chairperson and Councilors, shall not exceed 20% of the total revenue collected by that LG Council in the previous Financial Year. Regulation 4A to the first schedule stipulates that a CAO or Town Clerk who spends beyond 20% contrary to the provisions of regulation 4 without permission in writing from the Minister shall be required to refund the excess expenditure. THE MOVE BY LORD MAYOR LUKWAGO AND HIS COUNCIL TO SEE BUGANDA PROPERTIES RETURNED IS IN THE RIGHT DIRECTION, BRAVO! By Francis Kagolo Prof. Mondo Kagonyera, the chancellor Makerere University, has appointed Prof. Ddumba Ssentamu as the new vice chancellor. Ddumba, who beat Prof. Barnabas Nawangwe to the job, will replace Prof. Venansius Baryamureeba who has been serving in acting capacity for about three years. “I am pleased to inform you that I have appointed you vice-chancellor of Makerere University with effect from September 1, 2012,” Kagonyera wrote in a letter addressed to Ddumba on Tuesday. The University Council a fortnight ago fronted Ddumba and Nawangwe for the university’s top-most job. Out of the 18 council members who voted, Ddumba emerged the best with 14 votes as Nawangwe tied with Prof. Edward Kirumira at 11 votes. In the second tie-breaking round Nawangwe managed 10 votes to beat Kirumira. 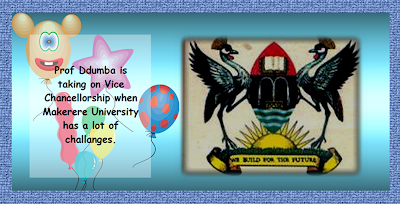 The 90-year-old university has been gripped by tension over the race, until Kagonyera appointed Ddumba. 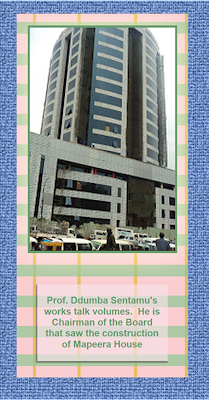 Who is Prof. John Ddumba-Ssentamu? The 59-year-old professor of economics remained in the race as the lead contender. He is not a new face in this race, having contested against Baryamureeba in 2009. Ddumba has on several occasions acted as the deputy vice chancellor for finance and administration, besides being one of the longest serving deans (now principals). Besides bein once a member of the University Senate, the institution’s chief academic organ, for over two decades, he has been the head of economics since 1998 when it was a mere department and has seen it grow into an institute, faculty and now a fully-fledged college. Besides the overall transformation of the faculty/college, he is recognized for fighting duplication of courses, insisting that the practice would churn out half-baked graduates who are neither critical thinkers nor problem solvers. 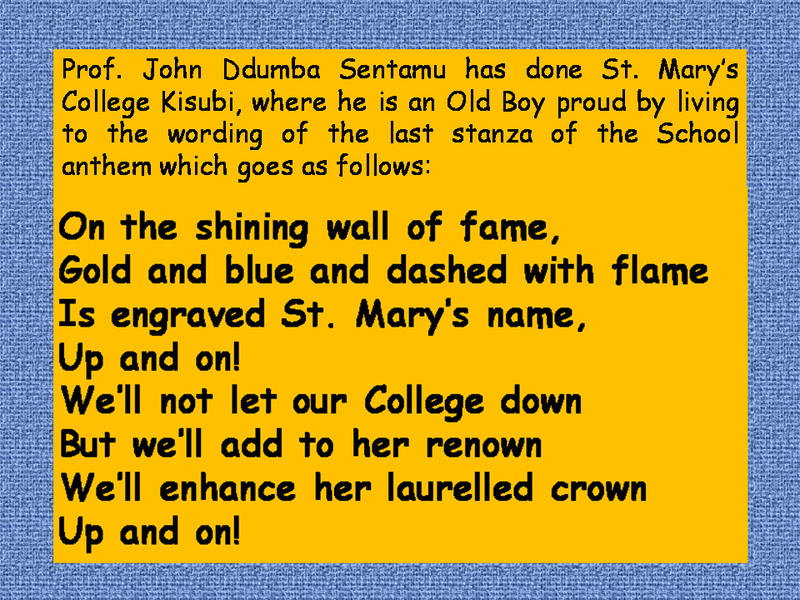 Ddumba is a product of Savio Junior School and St. Mary’s College Kisubi where he attended his primary and secondary education respectively before joining Makerere University. 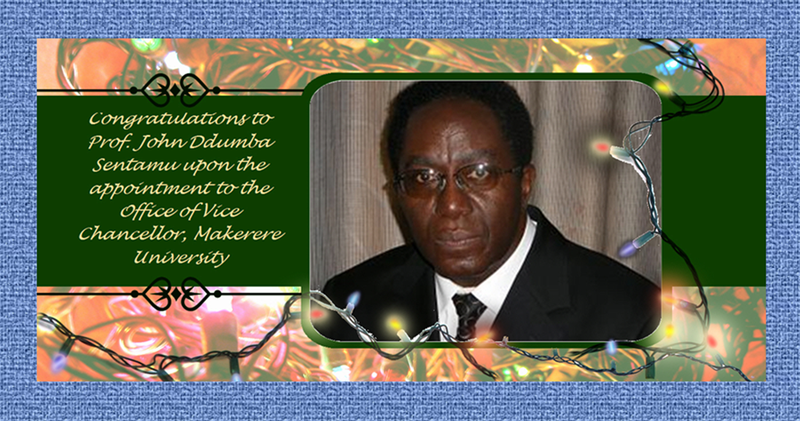 It is from Makerere University that he graduated in 1977 with a bachelor’s of arts in economics degree. In 1979, he acquired a master’s degree in economics from the University of Waterloo in Canada, before doing a PhD, still in economics, at Makerere University. In his lecturing career spanning 35 years, Ddumba has supervised over 80 dissertations, including PhD and Master’s and has about 30 publications to his name. As chairman Centenary Bank for over 10 years, he is credited for seeing the growth of a hitherto microfinance institution into the fourth best performing commercial bank in the country. Over the years, Ddumba has also served at the University of Waterloo (Canada), Nelson Mandela Metropolitan University, University of Legon (Ghana), University of Swaziland, Nkwame Nkurumah University of Science and Technology (Ghana) and University of Dar es Salaam (Tanzania) either as external examiner, part-time lecturer or external Vetter for staff promotions. He has consulted for various UN agencies including UNDP, FAO, WHO, WFP, and others like USAID and the Swedish Government, among others. It is one thing being in Government, and another to fail to make a proper assessment of the financial strength of the Government. From my assessment of things, Uganda should not even spend the shs 19 bn on LC I elections. My simple advice to those in Government is to stop being wasteful. What is important as of now is to change the law, and make it such that those elected under LC I do not need the use of secret ballot. Secondly, by now, the NRM Government should realize that the current developments don't help service delivery. Can we go back to a situation when the Chair Person's are elected say by the district officials in line of capacity to deliver. It is disgusting to see rubbish everywhere and no body bothers. The appointed chairpersons would work with just a few councilors, democracy does not mean have a kraal as councilors, we need quality and service delivery. So, the coming elections would better focus on electing just a few councilors to help reach the chairperson on development issues. Secondly, it is possible for chairpersons to get a pay from what they officially collect from the people. Throughout Uganda, people call for introduction letters, the deliver letters of introduction when they settle in new areas, those who buy land pay some fee, the identity cards, passport recommendation, etc. The monies generated from these undertakings are eaten at source and Government assumes that LC I don't get pay. This money is better than any pay you could imagine. When it comes to electing at LC I, there is no need of a register from the Electoral Commission. The villages have registers where member names have been written and photos in some instance. These can serve very well in the election of office bearers. If the NRM Government fails to realize the situation in which the country is, the more the country will sink. William Kituuka Kiwanuka --------------------------------------------------------------------------------- LC I ELECTIONS FOR OCTOBER Uganda Government has set October 2012 for Local Council One (LC I) national wide Elections. “The Government has set aside October 2012 as the period during which village and parish local council elections will be conducted across the country,” the State Minister for Local Government Alex Onzima confirmed to Parliament. He says that about 50 billion shillings is required for the exercise that will be availed this financial year. Responding to a question for oral answer raised by Adjumani Woman MP, Ababiku Jessica, Onzima said that the Electoral Commission had already secured 19 billion shillings which the finance ministry hopes to top up with 49 billion shillings to enable the exercise take place. The state local government Minister says that consideration and approval of the Local Government Amendment Bill 2012 tabled before Parliament two months back will reduce on the cost of holding the Local Council elections. Currently if the bill is not amended Uganda needs 145 billion shillings to run the LCI elections. Source: The Clerk to Parliament VOTING IN PARLIAMENT Decisions in Parliament are arrived at through voting. Voting refers to a formal expression of preference on a matter or issue under consideration. TYPES OF VOTING The Parliament of Uganda practices the following types of voting: Voice voting Secret vote Roll Call Tally and; Division Show of hands. VOICE VOTING This refers to voting by Members’ pronouncement of ‘Ayes’ or ‘Nays’ when a question has been put by the Speaker or Chairperson. The Speaker/Chairperson shall then declare the results. SECRET VOTE The secret vote is a voting method in which a voter’s choice on a matter or election is expressed confidentially. The key aim is to ensure the Member records a sincere choice without fear or favour or undue influence. In Parliament, this method of voting may be used: To decide on any matter under consideration in the House; During the election or removal of a person holding office under the Constitution or any other law; and Removal of a Parliamentary Commissioner. ROLL CALL AND TALLY This involves calling out Members’ names from the attendance register to ascertain the preference of vote of each Member as either an ‘Aye’ or ‘Nay.’ In Parliament, Roll Call and tallying is done when: Voting at the 2nd and 3rd reading of the Bill for an Act of Parliament or to amend a provision of the Constitution Censuring a Minister. Deciding on an appeal from the President or a reference from the Appointments Committee under Rule 146 of the Rules of Procedure. DIVISION A division is one of the forms in which the decision of the House is ascertained. Normally, when a motion is put to the House Members for and against it indicate their opinion by saying ‘Aye’ or ‘No’ from their seats. The Speaker goes by the voices and declares that the motion is either accepted or not by the House. If the declaration is challenged, the Speaker orders that the lobbies be cleared. The division bell is then rung and as entire network of ells installed in the various parts and rooms in Parliament House and Parliament House Annex. Members rush to the Chamber from all sides heading to the call. After the bells stop, all doors to the Chamber are closed and nobody can enter or leave the Chamber till the division is over. RULES PERTAINING TO A DIVISION Whereafter the Speaker or the Chairperson has announced the results of the voting and immediately forty or more Members stand in their places signifying their disapproval of the outcome of the vote, the Speaker or Chairperson shall order for a division; on the other hand, the Speaker or Chairperson can order for a division at his/her discretion. When a division has been ordered, the lobbies shall be cleared for the purpose. The Speaker or the Chairperson shall direct the ‘Ayes’ into the lobby on his/her right and the ‘Nays’ into the lobby on his/her left and appoint two tellers for each lobby and one for those who abstain to count the votes. The tellers then take positions by the rear doors to the respective lobbies and all Members shall enter the lobbies by those rear doors and shall leave through the fore doors back to the Chamber. “Fore doors” refers to those doors on the sides of the Chamber nearest to the Speaker; while “rear doors” refer to those doors on the sides of the Chamber furthest from the Speaker. The Members shall then have their names recorded as they pass through the rear doors although Members who are incapacitated by some physical infirmity or disability shall for purposes of a division be counted and recorded in the House. The Speaker shall then direct that the rear doors giving access to the division lobbies from the Chamber be closed. Names of Members wishing to abstain shall also be recorded and finally; When all Members wishing to vote have left the division lobbies, the tellers shall return to the Chamber and shall report the number of those who have voted in their respective lobbies, and those who have abstained, to the Speaker or the Chairperson, who shall then declare the results of the division. The rear doors giving access to the lobbies from the Chamber shall then be unlocked. In the case of error occurring in the course of a division concerning the numbers recorded which cannot otherwise be corrected; the Speaker or the Chairperson shall direct the House or the Committee to proceed to another division. VOTING IN ERROR Where a Member states that he/she voted in error or that his/her vote was counted wrongly, he/she may, immediately before the Speaker announce the figures and before the Speaker declares the results of the division, move to have his/her vote correctly recorded. EQUALITY OF VOTES If the numbers in a division are equal, the motion shall be considered lost. VOTING BY SHOWING HANDS This arises when a question has been put up by the Speaker for a vote and Members express their preference by show of hands. The Speaker then asks separately the Members to indicate by raising their hands to indicate ayes or nays and abstention, for the Clerk to count. ELIGIBILITY TO VOTE The person presiding in Parliament or Committee shall not be eligible to vote. The Speaker or Deputy Speaker, Chairperson or Deputy Chairperson of a Committee while not presiding, shall retain his/her right to debate and vote. A Vice-President, Prime Minister or a Minister who by virtue of article 78 of the Constitution, is an ex-officio Member of Parliament, shall not be eligible to vote in the House. A Member having any interest in any matter before the House shall declare the nature of his/her interest in the matter and shall not vote on any question relating to that matter. Where a Member fails to declare his/her interest any other Member may raise the matter in the House and the Speaker may order that member not to vote to the matter and may refer the conduct of that Member to the Rules, Privileges and Discipline Committee for investigation and recommendation to the House for action it may consider appropriate.